Charity peak body, Community Council for Australia (CCA) is mounting a campaign to name and shame ministers and senior bureaucrats that block the harmonisation of fundraising regulations in Australia. 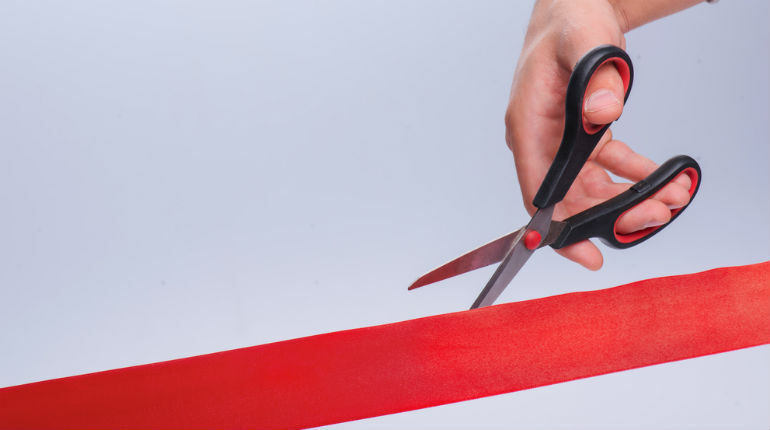 CCA CEO David Crosbie said charities across Australia were frustrated with governments not acting to remove red tape and duplication that was costing hundreds of millions of dollars a year in lost productivity. “Charities have had enough. Governments talk about cutting red tape, but when it comes to freeing up charities to do their work, responsible ministers fall into the arms of ill-informed bureaucratic advisers and wave more forms in our faces,” Crosbie said. Crosbie told Pro Bono News there was now a majority of states and territories understanding the need to harmonise fundraising regulations and that they were willing to do it. “It’s being blocked by really a handful of people, mostly senior officials, who just don’t think it’s an issue or don’t understand the issue,” he said. “For us, that’s incredibly frustrating and annoying to get this close and find that a handful of people can stop thousands of staff in offices across charities all across Australia having to spend their time doing ridiculous red tape administration. Crosbie said there was an easy fix if all governments agreed to work with the information already collected by the Australian Charities and Not-for-profit Commission rather than duplicating and collecting their own. “For more than a decade governments have been saying they will fix it. Time is up. Please get out of our way and let us do our work,” he said. Labor’s shadow minister for charities, Andrew Leigh, said: “Reducing reporting duplication would make a serious difference for small charities and local not-for-profit [organisations] like community centres and pre-schools, which often had few staff and resources. He said the Turnbull government had failed to appoint a minister with specific responsibility for charities and not-for-profit organisations, and had continued Tony Abbott’s efforts to strip environmental organisations of their charitable status. CCA is a signatory to the #fixfundraising campaign along with over 150 Australian charities and professional bodies. In September 2016 a coalition of peak bodies called on all Australian governments to provide charities and other NFPs with a nationally-consistent fundraising regime that will deliver more than $15 million in savings every year for charities alone. The group said, currently, NFPs were forced to spend significant amounts of time and money to meet outdated and fragmented fundraising laws that differ considerably across Australia. “Charities and other NFPs are wasting millions of dollars on outdated and unnecessary regulation – funds that should be going to Australians in need,” the Australian Institute of Company Directors CEO, John Brogden, said. Justice Connect CEO Fiona McLeay said: “For smaller groups, it can be particularly difficult to navigate these complex laws. For larger ones, resources are redirected from service delivery to compliance, with spending on fundraising ‘admin’ a significant deterrent to public giving. Governance Institute of Australia CEO Steven Burrell said: “The motivation of NFPs to support as many people as possible often means they spend considerable time and effort raising funds from the public. work with the sector and self-regulatory bodies to continue to improve fundraising conduct (work is already underway to develop a single fundraising code). Director of Justice Connect’s not-for-profit law, Sue Woodward said on Thursday: “It is a solution that could be put in place now. 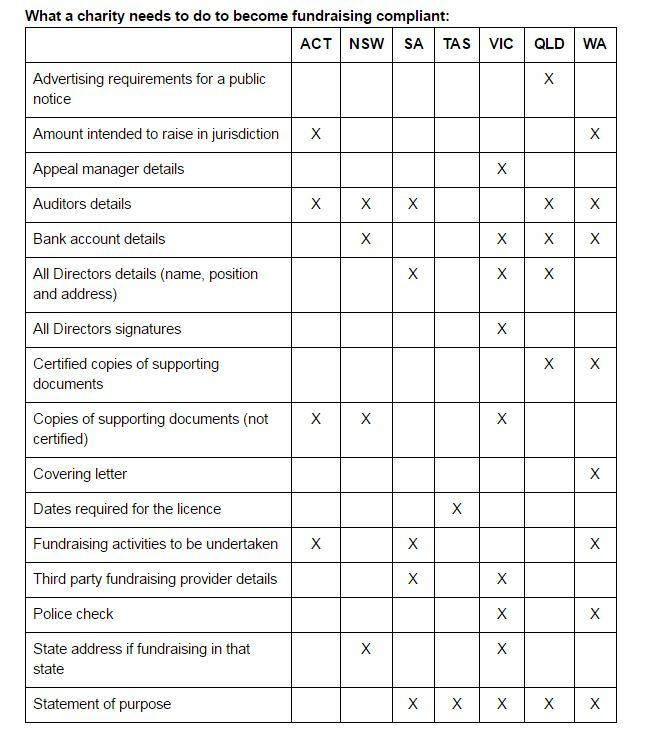 The recent interim report of the Australian Consumer Law review says the ACL already applies to most activities of not for profits, including fundraising.